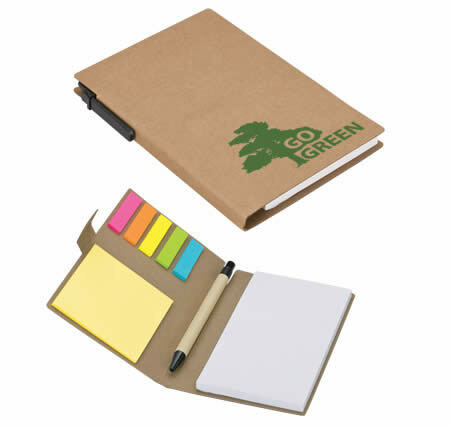 Notebook made from 100% recycled paper and cardboard. Branding is available as a lovely screen print. This set is handy, trendy and eco-friendly!